ID: 2082 ~ Source: BU Records: NoZe Brotherhood, Accession #BU/384, Box 3, Folder 16, The Texas Collection, Baylor University. 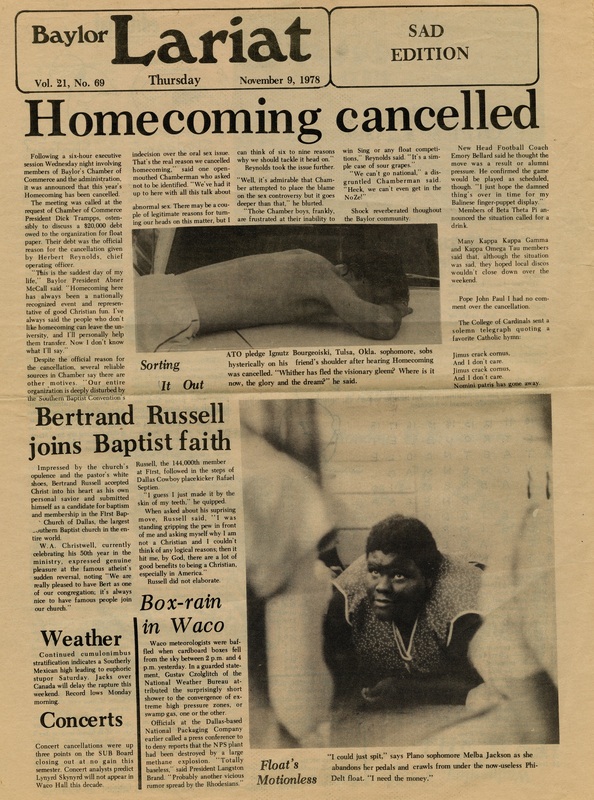 This is the famous Lariat publication that got the Brotherhood thrown off campus in the 1970s. Along with stealing the Lariat header, the edition featured advertisements for strip clubs and bars. There was even an extensive article praising lewd acts, and another making fun of President McCall.